Over 10 years, Wyoming resident Cori Clements hiked the Oregon Trail all the way across Wyoming in segments of varying lengths. This interview with Cori recounts her experience as she slogged 380 miles across Wyoming through mud, snow, dust, and heat - all in the name of history. 1. 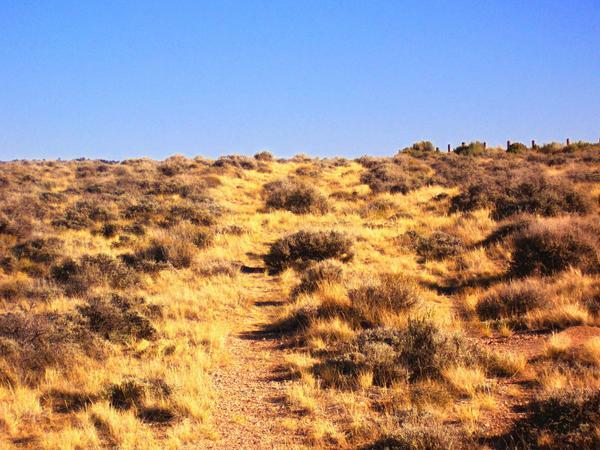 What inspired you to want to hike the entire Oregon Trail across Wyoming? 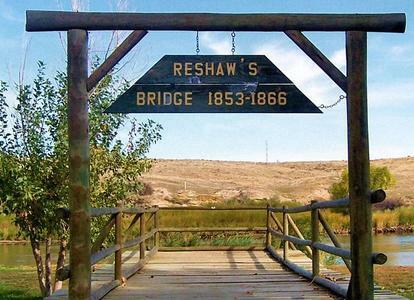 What got you interested in the Oregon Trail from such a young age? Why did you start when you did? My father actually inspired me by taking my sister and me to Independence Rock and Devil’s Gate when I was 15. We moved often, and in order to alleviate the apprehension of a new place and a new school, he would have me look into the history of the area. After climbing the Rock and seeing the signatures, and after walking with my father along the swales of the Trail, I felt a “pull”, something in my head that said “do this”; and I began my life-long passion (obsession) with historic trails. The first book about the Trail I picked up was Gregory Franzwa’s The Oregon Trail Revisited and Maps of the Oregon Trail. I began to formulate some semblance of a plan to explore the Trail further. One of my history classes in school also had a segment devoted to the Oregon Trail and we did a “role-playing” like game for a week that involved writing journals. I filled two or three notebooks and immersed myself to the point that the teacher had me read my excerpt each day to the class. Each of us had a persona that had different obstacles to overcome along the way – sort of like the old Oregon Trail computer game. My role was of pregnant woman whose husband perished early on the Trail. Somewhere along the way, I fell into a campfire, but despite all of that, I made it and grew to be an old woman with a home in Oregon. I loved that game. 2. How far did you hike at a time? It varied. I began at the border of Nebraska and Wyoming when I was 16. That was a hike that went for a day. My father began to see how serious I was about this, much to his dismay. This was in the 1980s, before cell phones. I would just go. No checking in. I’d drive to where I planned to stop and hike the Trail to where I had left off from the year prior. Always in the spring/summer. The first time I ever camped on my own was during a hike that took almost a week. I had a friend drop me off – this was along the Trail as it travelled West of Guernsey. I had my first encounter with a badger on that hike. It chased me to the North Platte River. Also my first encounter with a rattlesnake. And my first encounter out in the elements with a fierce prairie thunderstorm. I was scared out of my wits and wept the entire night of that storm, thinking this has to be the dumbest thing I had ever gotten myself into. But, morning came, I dried out, and I was able to continue. The entire 384+ miles of the Trail took me 10 years to accomplish from beginning to the Utah border. Life happened, school, moves, the birth of my son; but each summer I would do as much as I could. 3. What were some of the highlights of the trip? Did you have a favorite part? There is a lot of the trail that is on private property. The landowners I met along the way to obtain permission to hike across their property were some of the most interesting people I’ve ever met. I was a girl, on my own, hiking, and most were pretty incredulous when I appeared at their door. One landowner, an elderly curmudgeon of a sort, outside of Douglas, had his doubts and a pretty fierce “bark”, but once he realized I was serious, he joined me for a bit. He told me I couldn’t take pictures, but he did show me a couple of graves and told me stories he had grown up hearing. It was fascinating. He had found an oxen yoke when he was young and had other bits of metal from the Trail. Many square-headed nails. The South Pass and Red Desert areas were also memorable. I ate an unbelievable amount of flies because it was so hot and dry there and the breeze was like coming from a smelter. I thought I was acclimated to the altitude of the area, but this taught me a fairly harsh lesson about carrying enough water/fluids. Dehydration and wheezing through dry, chapped lips was an open invitation to the consumption of said flies and the massive amounts of grit in the air. If I had any romantic notions regarding the Trail, this was the area that dispelled them in a hurry. In the more desolate areas, the mind plays tricks and I thought I heard the jingles of wagon parts and slaps of reins. This happened more than once. 4. What did you learn from the experience? About yourself? About Wyoming? I learned a vast appreciation for those who first forged this Trail into an unknown land with only their fortitude, faith, and sense of adventure to guide them. I could go home anytime I wished simply by turning around and crawling into my air-conditioned vehicle. I learned that life shouldn’t be taken for granted as I hiked passed a forlorn, lonely grave. Any notion I had about how hard life was for me at that particular instance quickly vanished as I thought about the women and children whose steps I walked. I learned I terrified my father every time I ventured out. He understood, and yet, he was afraid. I learned not to be a proud know-it-all. When I first began, I thought I was in great shape. I wasn’t. I thought I knew how to ‘rough-it’. I didn’t. Nature would always win and I learned to respect it. I learned that not every person/place has a sense of preservation. Wyoming has some of the most expansive and pristine areas of the Trail. Even the powerlines are easy to imagine away in Wyoming and it didn’t take much further imagination to see the Trail as it was 170+ years ago. I’ve been to other states along the Trail. It’s a struggle to find it. Wyoming’s sense of preservation is unmatched. 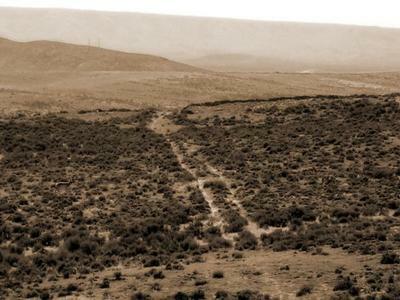 Without this Trail, we would find life today far different. I cannot convey how strongly I feel when I see the Trail in Wyoming. And not just that Trail, but the assorted stage routes and the Overland Trail, an Indian trail across Weston County, the Lander Road, etc. The carsonite markers, the granite posts, the roadside markers; the National Historic Trail Center (wish I could volunteer there again!) in Casper – all are the incredible examples of preservation. I cannot say enough good about the measures Wyoming has taken to preserve that moment of History. 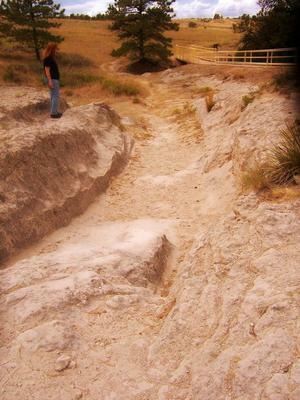 All that time on the Trail and seeking the Trail trained my eye to notice wagon ruts/roads. I am grateful for that too. 5. 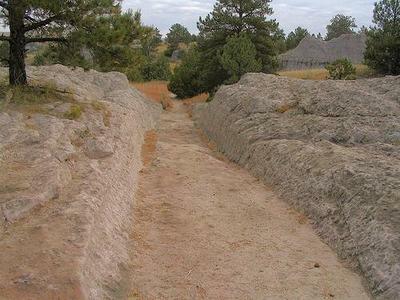 Why do you think the preservation of historic trails is important? 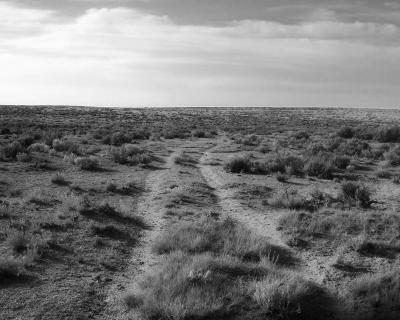 Without the preservation of the Oregon/Mormon/California Trail – and others – how could someone else who felt a “pull” come to appreciate life as it is known and as it was? I could read the stories. I could walk the exact steps taken, I could see and feel and hear what was seen, felt, and heard years ago. I felt the ice-cold water in the Ice Slough – in late June – just as I hiked a bit of Trail on my birthday – in thigh high snow (June also). Incredible. 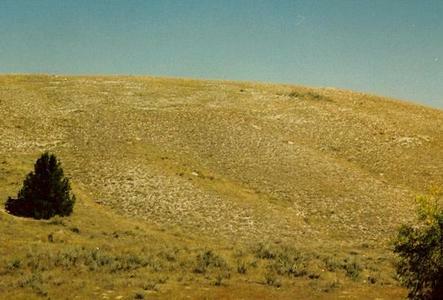 Without preservation future generations wouldn’t know the story of how they came to be in Wyoming – either in school or from their crazy aunt/mother who made them climb Independence Rock (yes, I did). 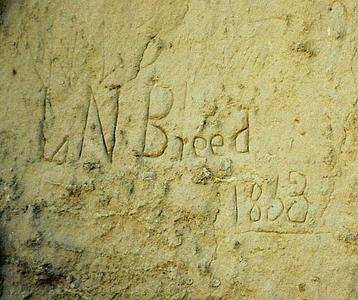 I resided in Casper when the Child’s cutoff was rediscovered. That boggled my mind – we are still discovering! Sadly, without preservation, I feel we would forget our past. “Progress” leaves a bitter taste in my mouth when I see what must be sacrificed and lost for it. It begins. My sister and I on the Right.